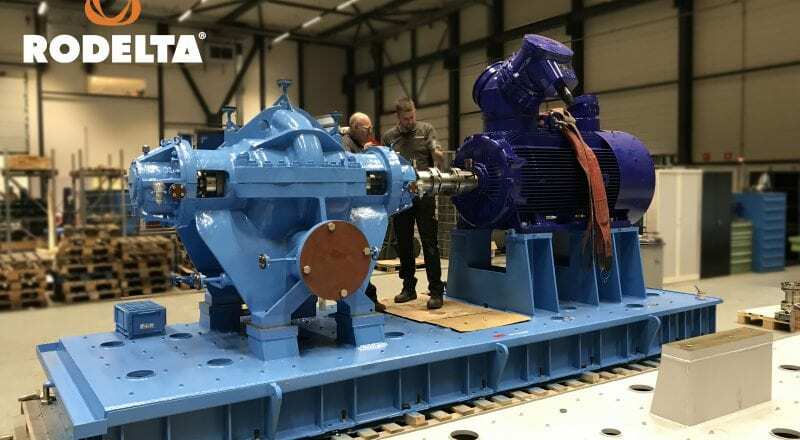 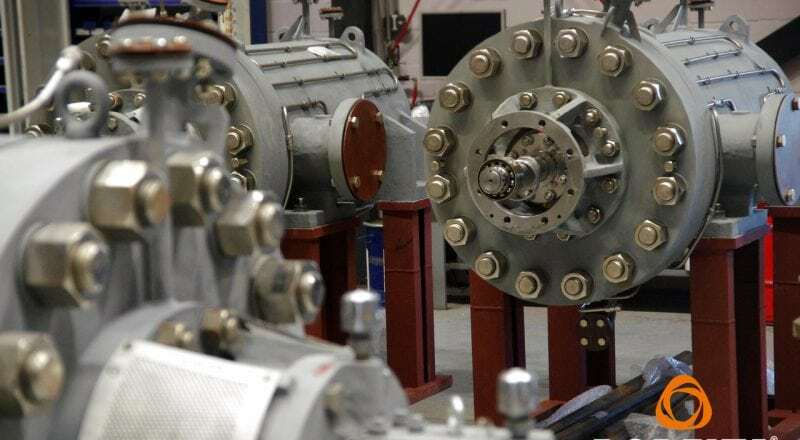 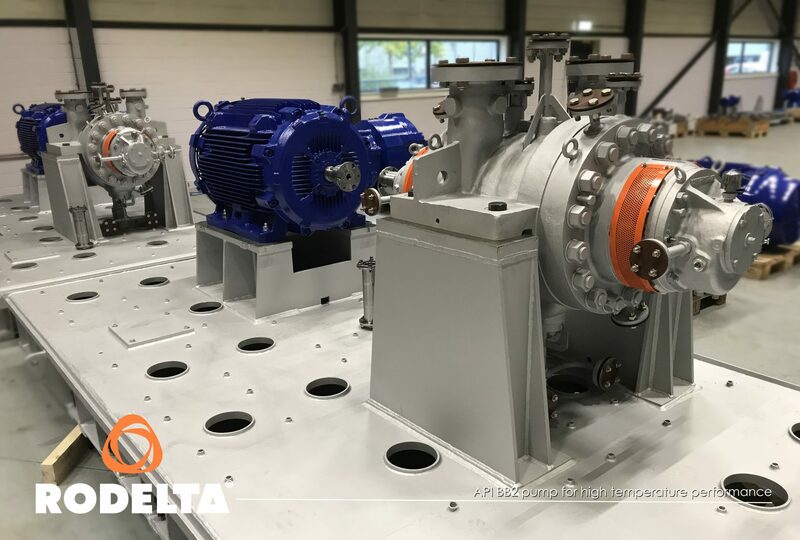 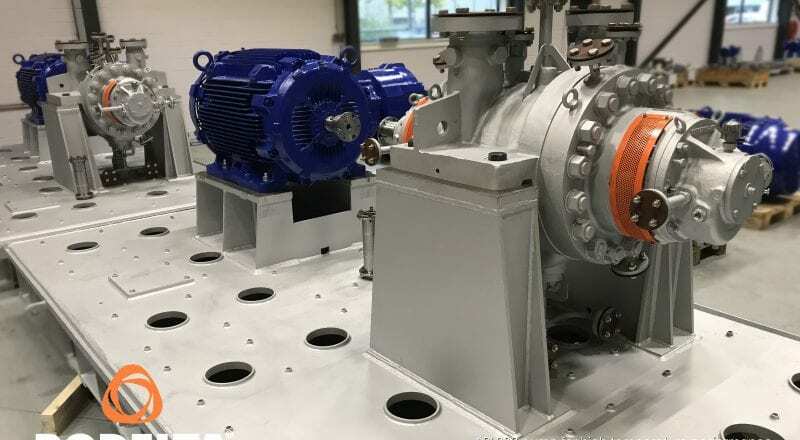 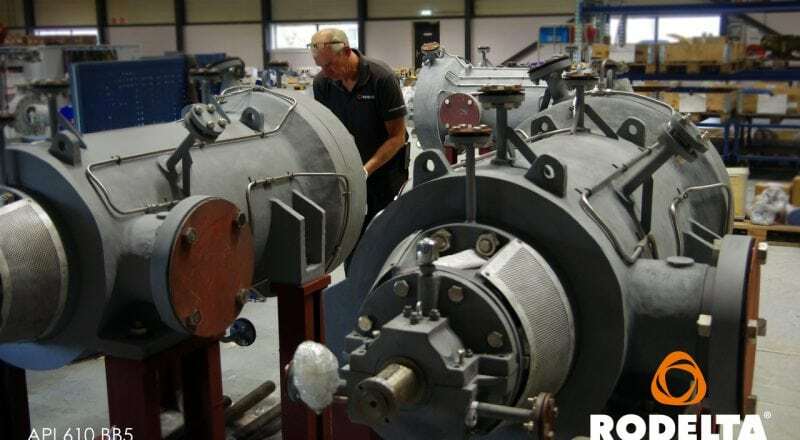 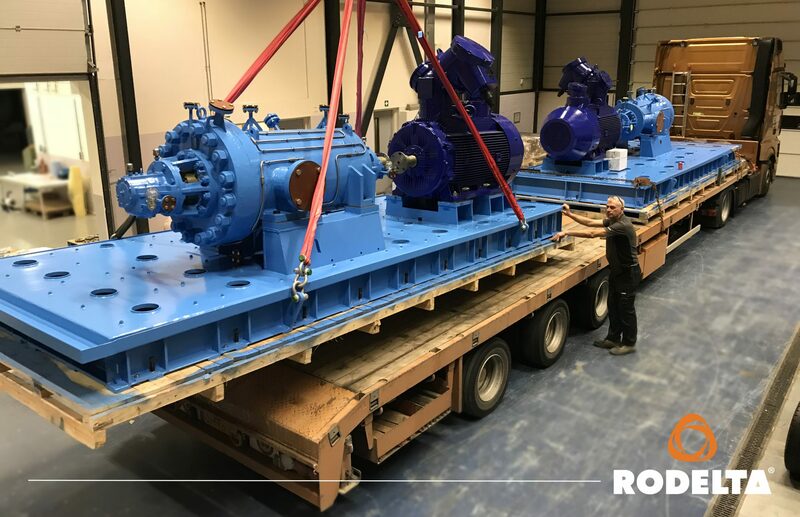 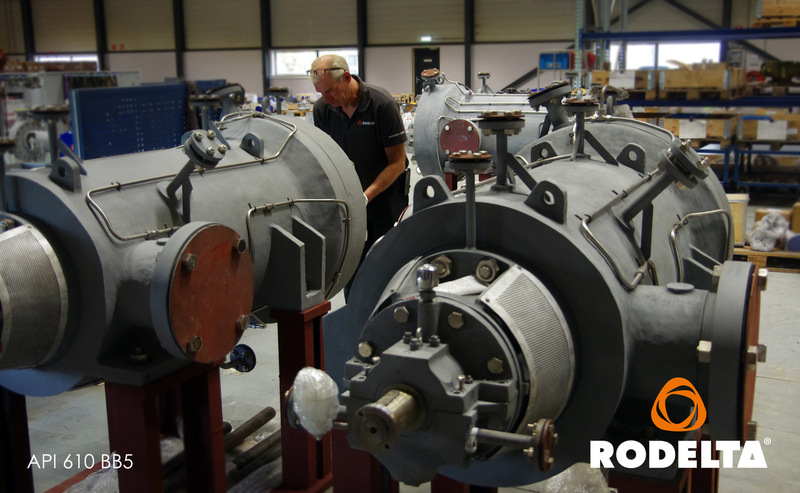 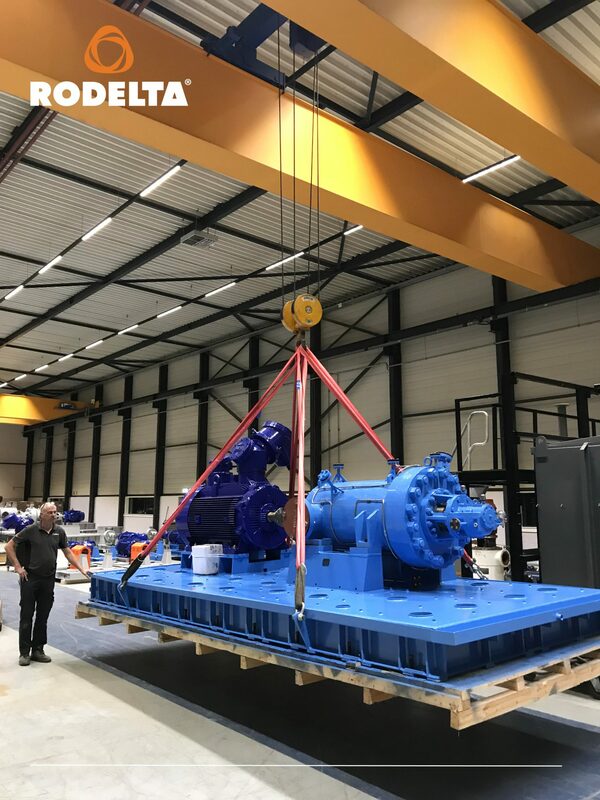 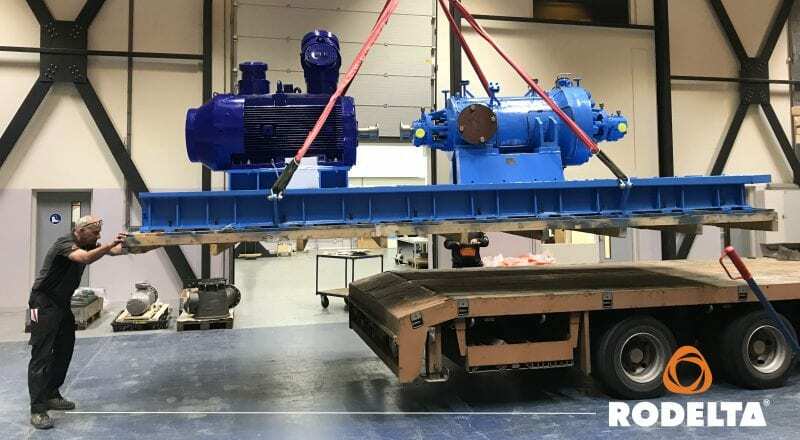 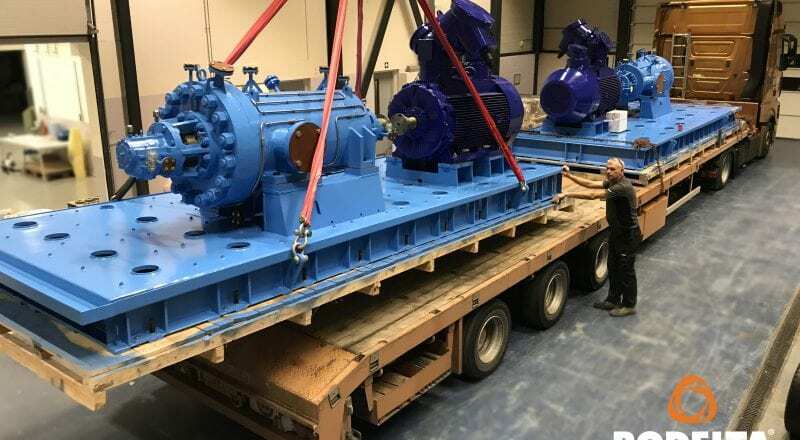 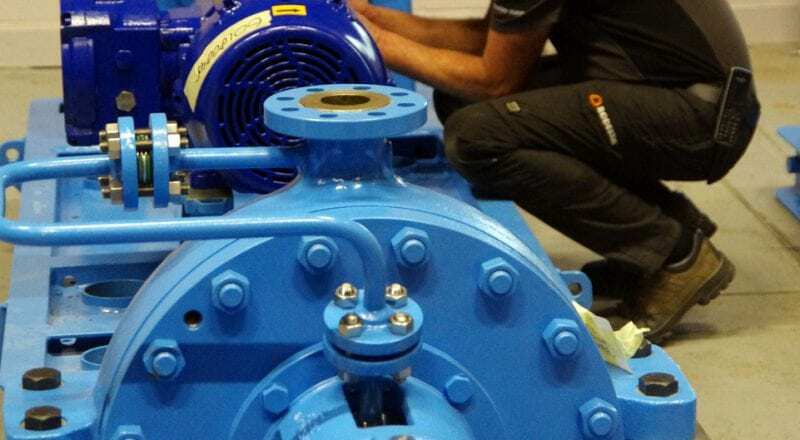 The main part of the delivery “a total of 32 pumps” were pumps of the HZC type, the successful OH2 pump range from Rodelta. 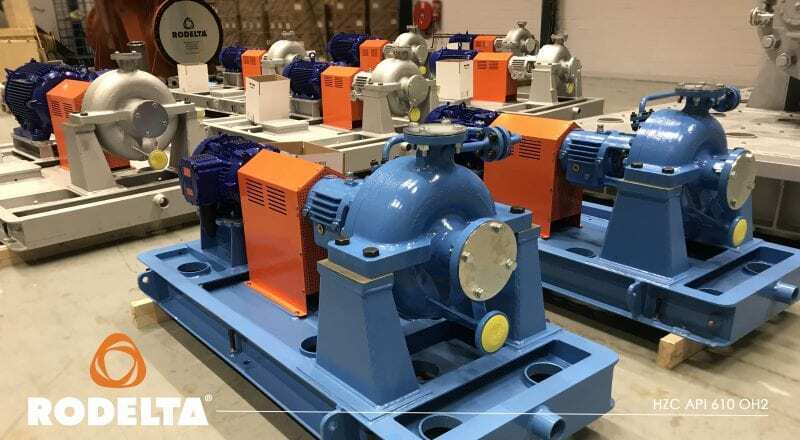 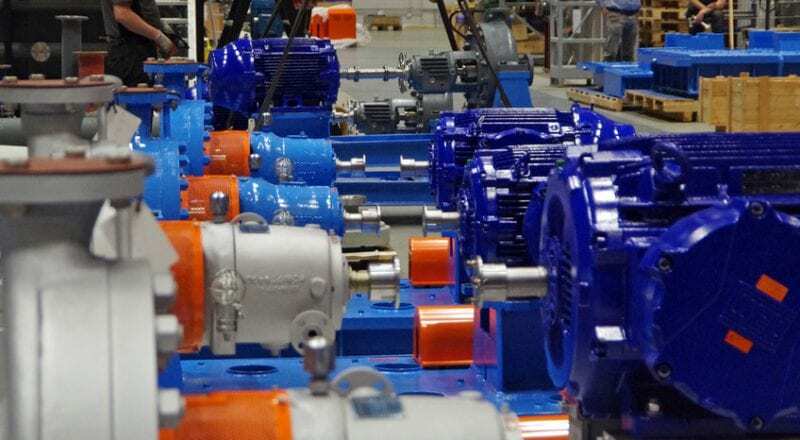 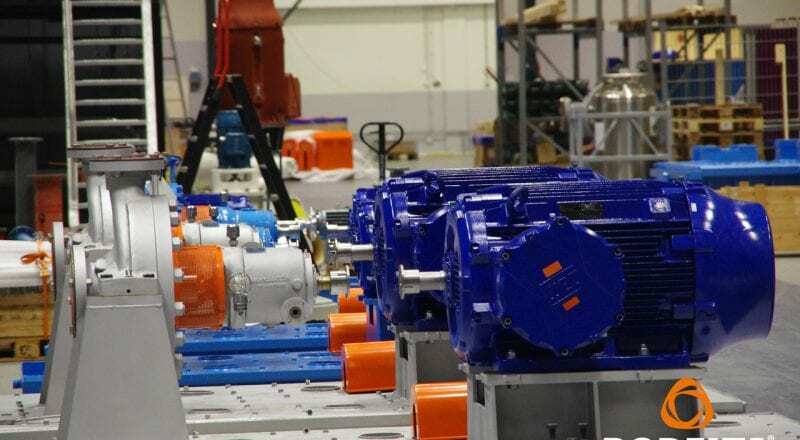 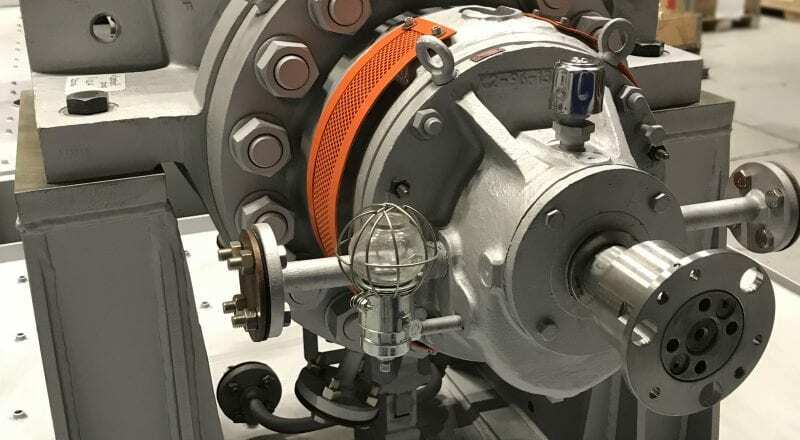 These pumps are equipped with a custum made hydraulic design that is developed for the work area desired by the customer. 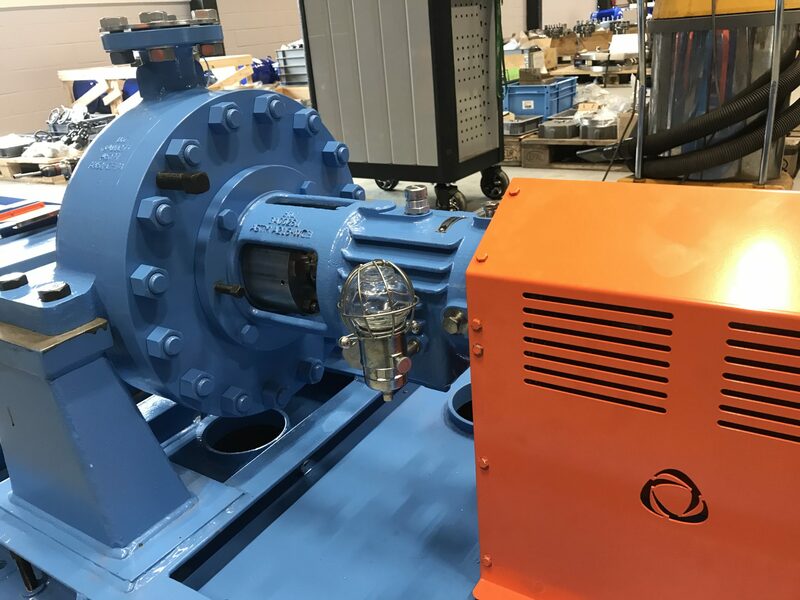 Besides the OH2 (HZC) pumps, also eight OH3 (ETLS) pumps were part of the package. 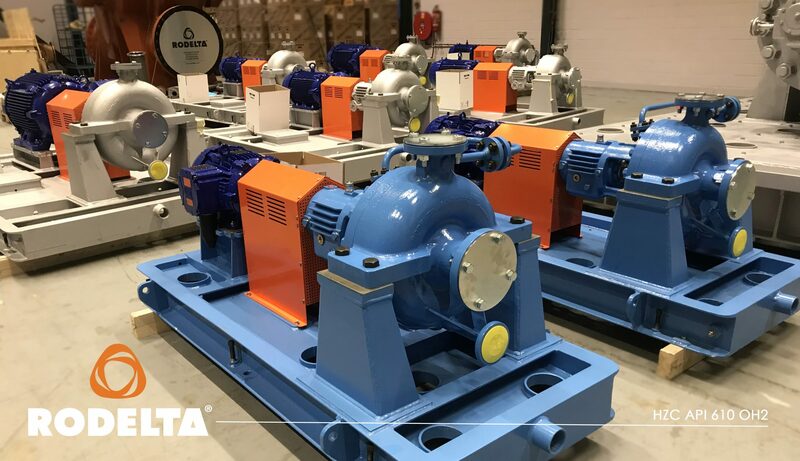 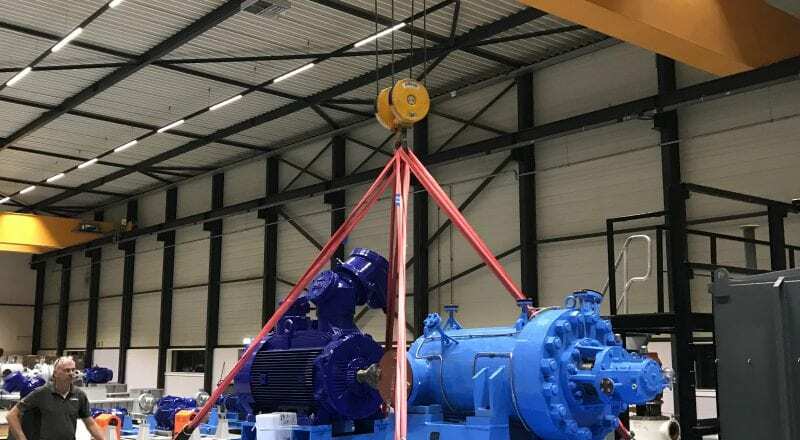 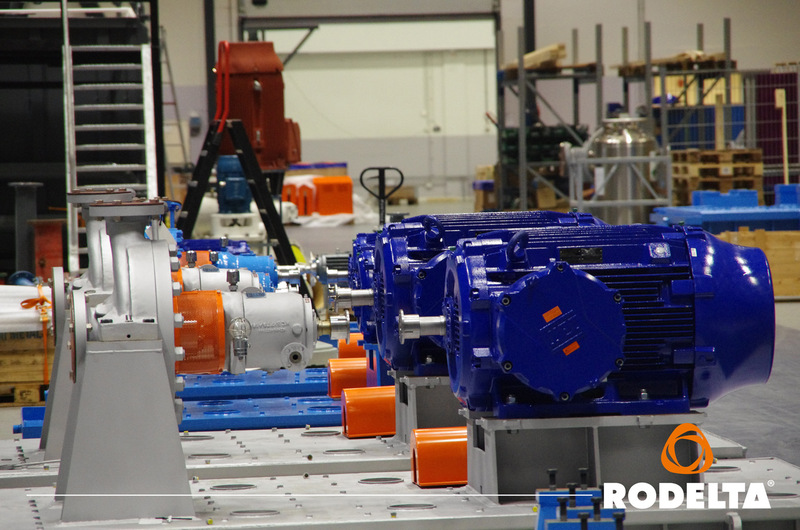 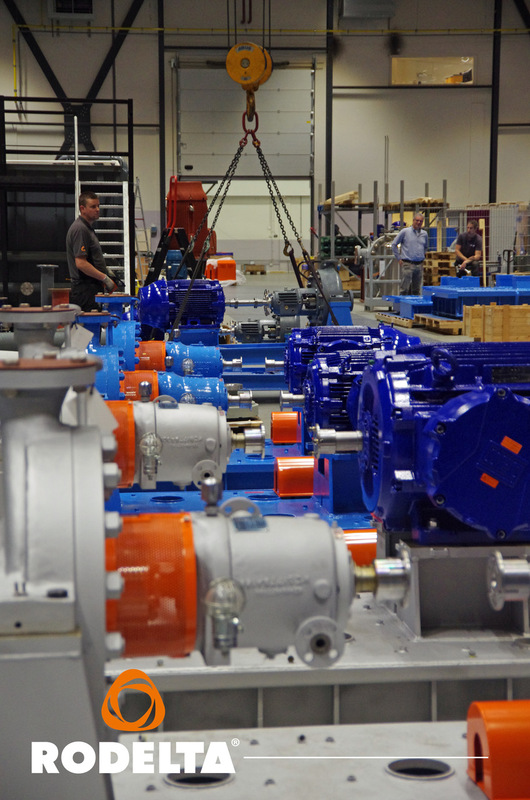 These pumps are equipped with similar (interchangeable) hydraulics and have more advantages, like small footprint and inline construction. 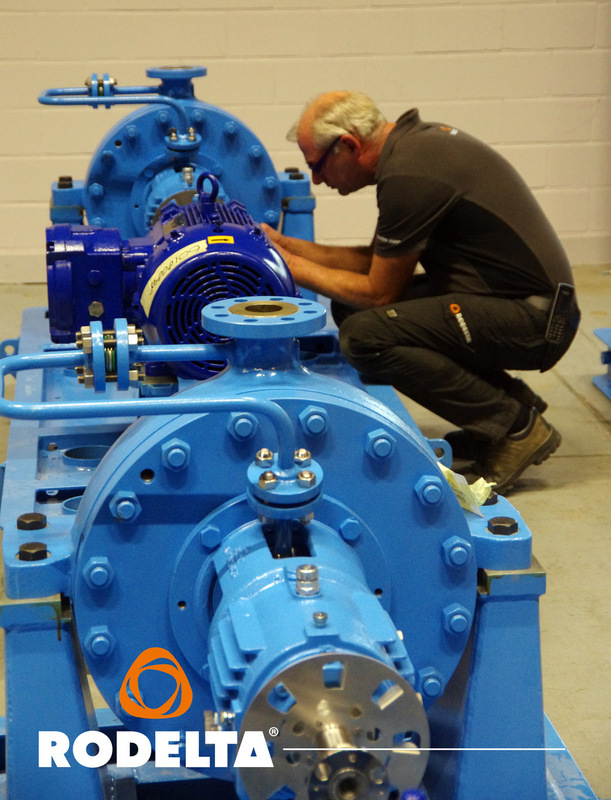 The customer had a special need for a high temperature pump however had limited space available. 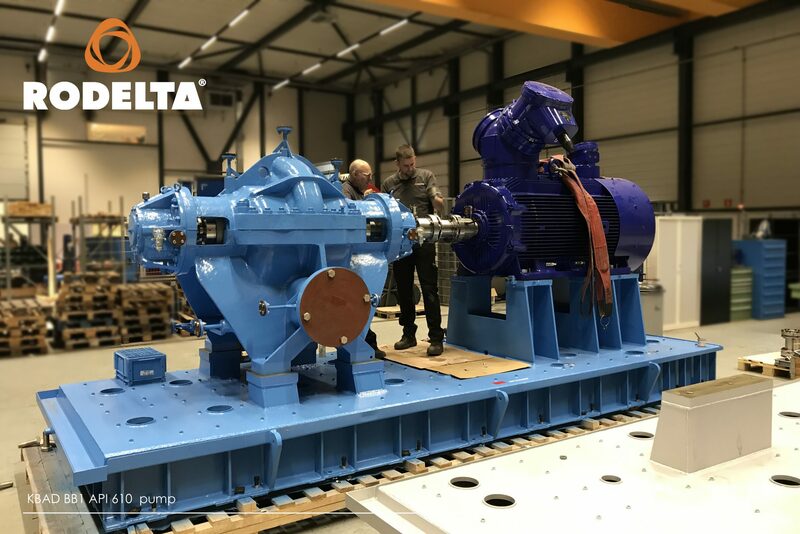 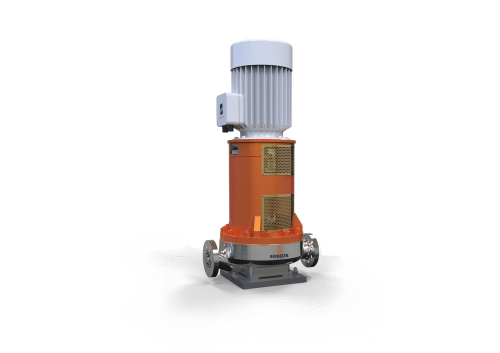 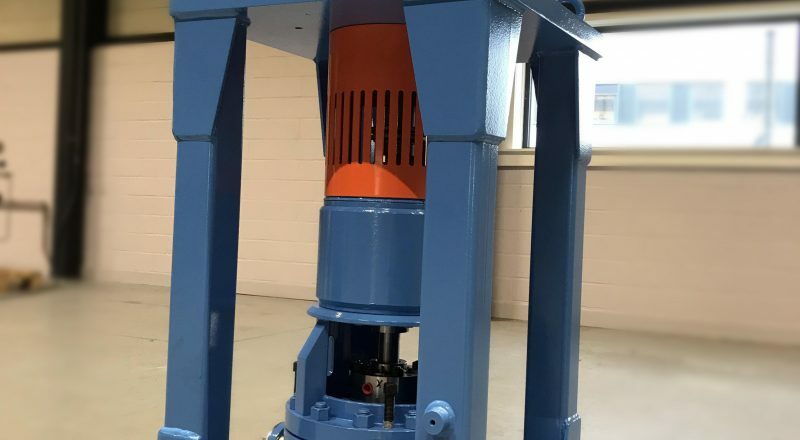 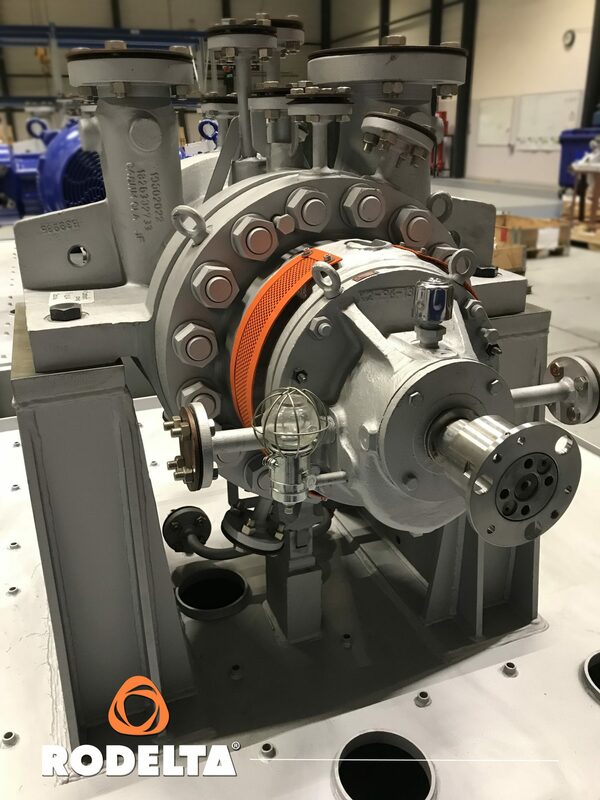 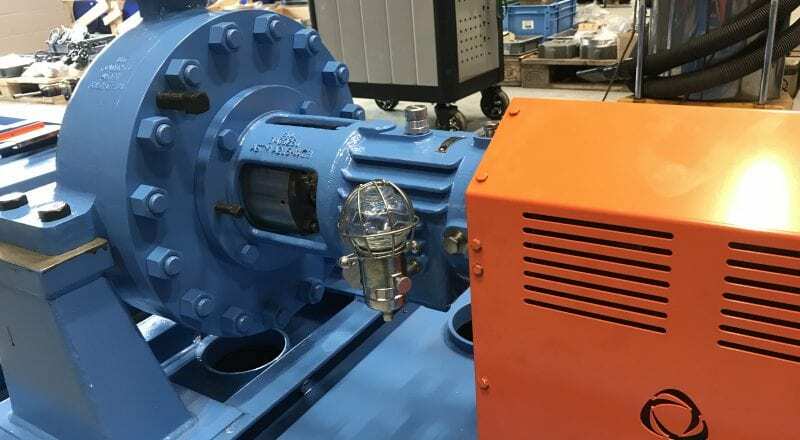 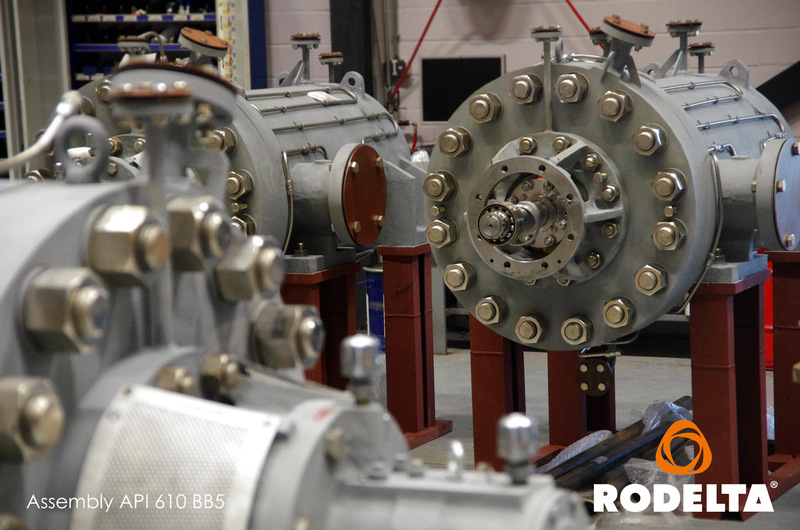 For this item Rodelta designed and executed a special water cooled OH3 version where the market normally offers a horizontal OH2 pump type. 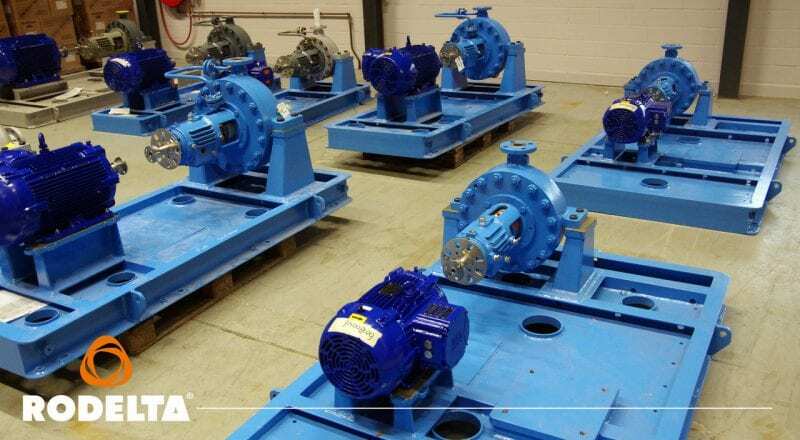 The remaining pump types includes our VS4 (TAZN) pump types and the larger package of BB-type pumps – BB1, BB2, BB5.